At Hebrew Public, it gives us great pride to honor our staff. Their hard work and dedication is part of what makes us who we are – a network of schools with high expectations for our students, their future and a commitment to nurture them to become empathetic global citizens. As a diverse public charter school, we welcome children from all backgrounds and give them the opportunity to learn Modern Hebrew. Every once in a while stories like this one surface and we can’t help but share our enthusiasm with others. 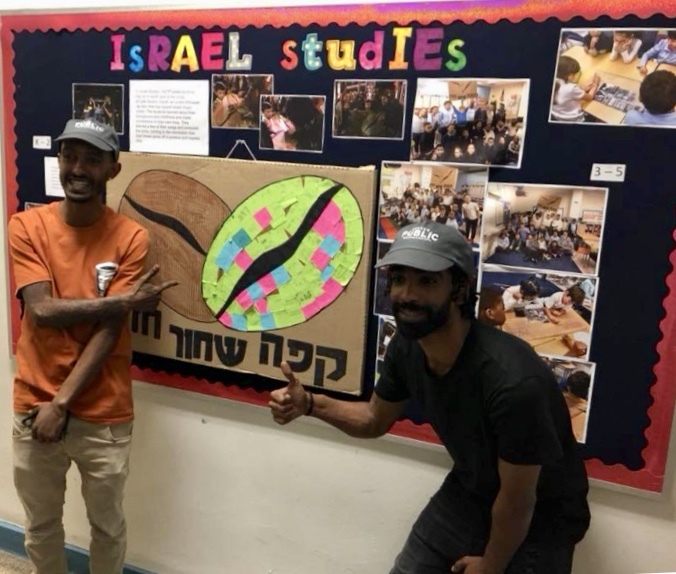 Harlem Hebrews teachers, Abev Samain Regev and Marissa Kaplan decided to add some excitement in their third grade classroom, while simultaneously teaching them about Israeli culture. 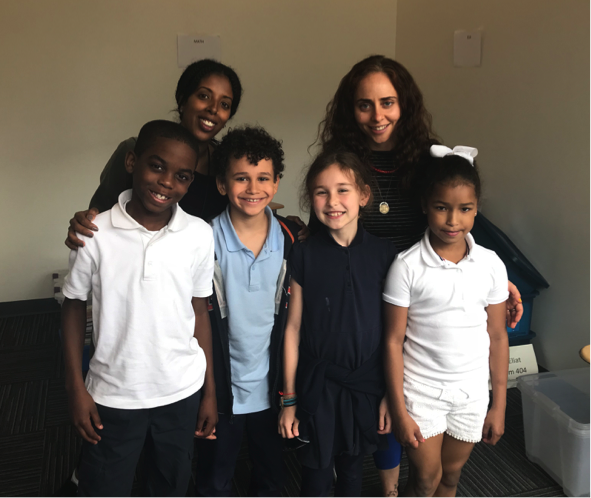 They had a surprise visit from their favorite Israeli band – Café Shahor Hazak, which translates to “Strong Black Coffee.” Café Shahor Hazak is an Israeli hip-hop duo of Ethiopian origins. The band is known for writing songs with messages that are inspirational and uplifting. Their songs express how grateful they are to have become successful despite the difficulties that sometimes arise when coming as an immigrant to a new country. Abev and Marissa discovered that the band would be in New York as part of their U.S tour and decided to reach out via social media! It wasn’t difficult to get the band to visit Hebrew Public. Abev and Marissa decided to put a video together showcasing the children’s admiration for their music and send it to them. How could they possibly say no to a classroom of smart and energetic third graders who love their music? 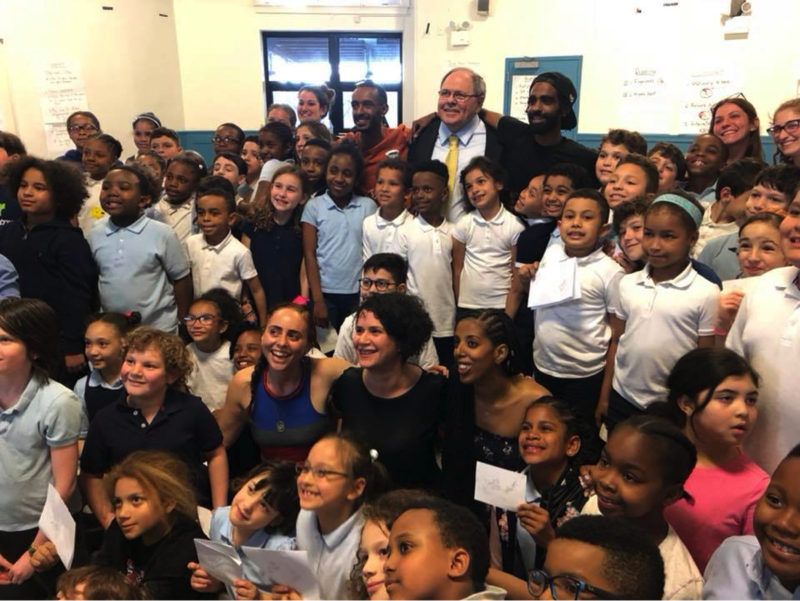 Prior to the surprise visit, Abev and Marissa played various songs from the band, watched music videos and had the children learn more about their background. The children loved every minute of it and were elated when Café Shahor Hazak made an appearance in the school. 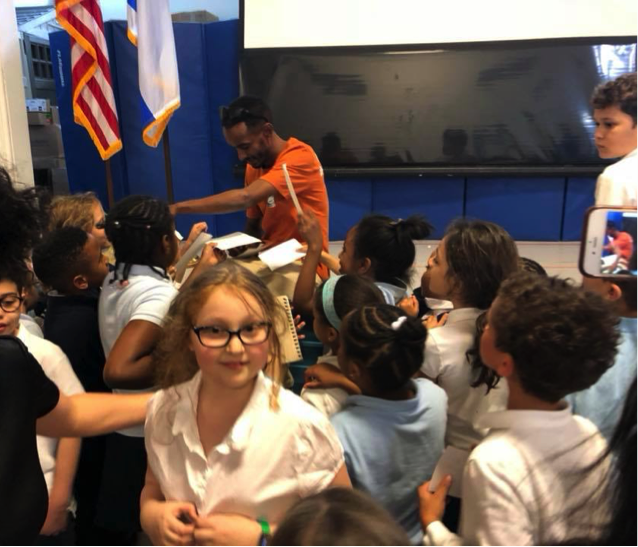 Initially, the students thought they would be going over information about state testing but to their surprise, Café Shahor Hazak walked into the room – the children screamed in excitement, some even cried! It really was a heart warming moment for everyone involved. Introducing the band to the students opened up conversations in the classroom about Israel, music and diversity – “We want to teach them about everything, says Marissa, we want our students to identify with others – recognize their differences or similarities and be ok with that.” “Our students like a ton of different music.” Through the band’s music, the children learned that you can have a tough beginning in life but there are always ways to overcome adversity. 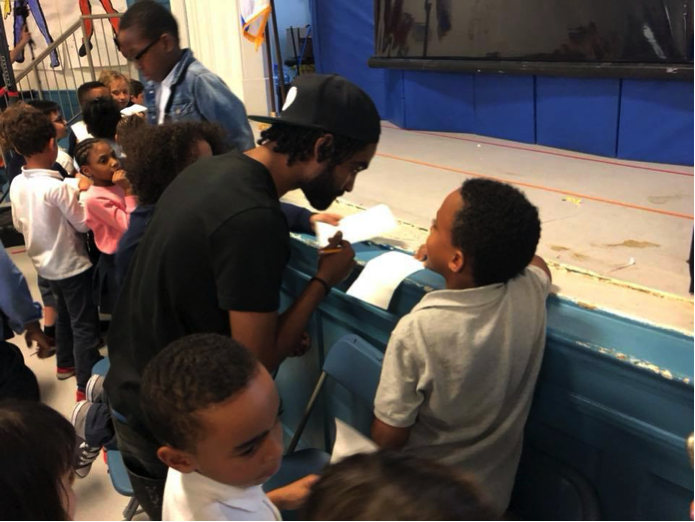 The band did a 30-minute session with the children in Hebrew, answered their questions and sang with them. The students were able to tell us their favorite songs, translate them in English and tell us the meanings of the songs. We believe that music is a great outlet for students to learn about different cultures in a creative way. Café Shahor Hazak’s appearance at Harlem Hebrew really brought a part of Israel to life in the classroom. It was an experience that celebrated Israeli culture and inspired our students in a way that they will never forget. Thank you Abev and Marissa for an educational and fun experience! “Where words fail, music speaks.” – Hans Christian Anderson. Philadelphia Hebrew Public approved by School Reform Commission Our Teacher is an Author!